Provenance / Collectors' marks: Unidentified collector “R.W.” (collection stamp in red: “R.W.,” not in Lugt). Bibliography: Bartsch 99; Joseph Meder 96; H. 96. 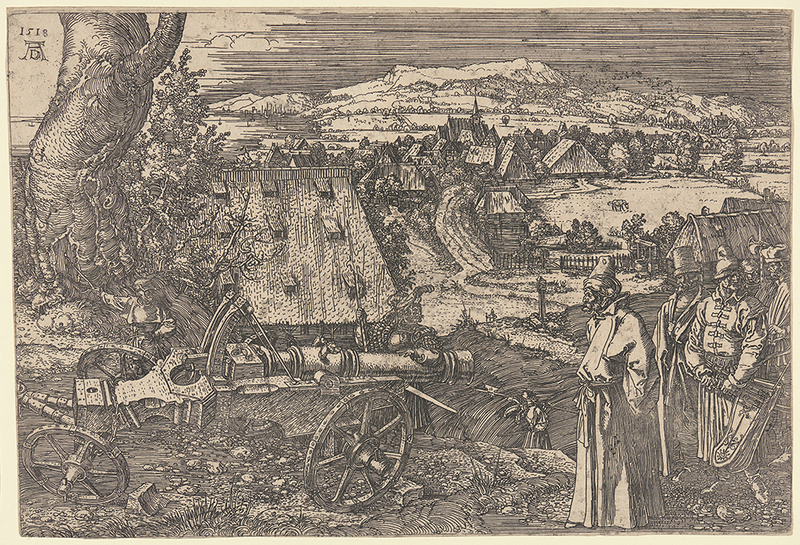 The Landscape with the Cannon, . Etching printed from an iron plate on laid paper. DAC accession number 1966.3.1. Purchase funds, 1966. Open Access Image from the Davison Art Center, Wesleyan University (photo: R. Lee). http://dac-collection.wesleyan.edu/obj5123 is a persistent link to this page with no user-session information.